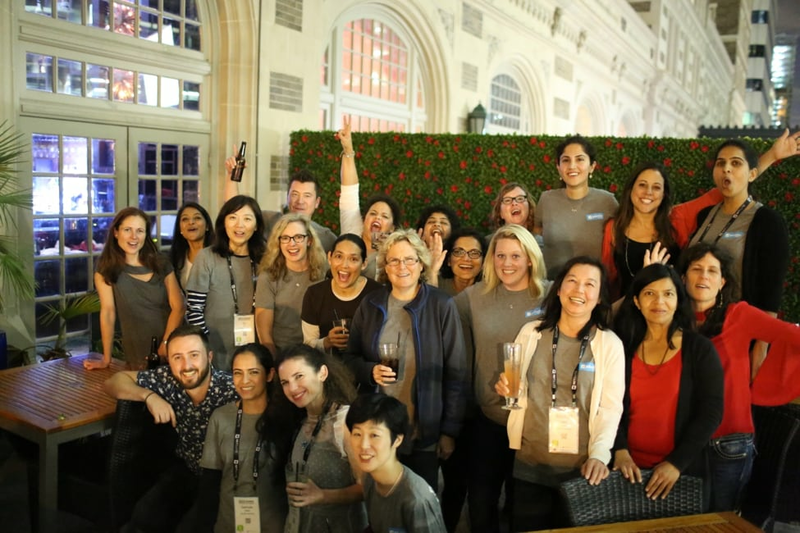 At Palo Alto Networks, our commitment to women in technology is evident through our partnership with the Anita Borg Institute and other organizations promoting diversity. This year at GHC, we expanded our presence to 22 team members. We even had two employees from our offices in Israel and Japan attend the conference to promote their own development as technology leaders and innovators, and help us recruit other top technologists to join our team. While this is Palo Alto Networks’ second time participating in the GHC, for many of our employees, it was their first time attending. They quickly realized the ‘wow’ factor of being a part of something so special. Rinki Sethi, Senior Director, Information Security, captured it well. Because of the impact that we are making in the cybersecurity industry, Rinki was tapped to participate as a panelist on the final day of the conference titled ‘You and Your Data: Privacy Challenges in the Internet of Things’. We look forward to continuing to increase our presence at GHC by leading various workshops and sessions focused on cybersecurity and evangelize our mission of protecting our digital way of life by preventing successful cyberattacks. After many months of planning, it was rewarding to connect with the technical talent from both early career (university) to professional levels. When our employees were not attending sessions or workshops they spent time in our booth, educating and sharing stories about our culture as well as interviewing top candidates. Our presence at Grace Hopper puts us front and center with some of the brightest students and working professionals across the industry, and allows us to talk about the challenging problems our customers face and the rapidly innovating technology our engineers get to build, and why what we do matters so much. We’re able to showcase our amazing culture where employees are empowered and can be authentic, where we encourage self-awareness and collaborate together as a team, and where each employee can achieve their personal best. Another key benefit of gold sponsorship also provides us access to invite only leadership experiences. Ronit Polak, VP Quality Assurance, and Cohavit Almagor, Senior Director, Quality Assurance, Israel, attended the Senior Women’s Program and were impressed with the networking and discussion around mentorship and sponsorship for women in technology. Lucas Moody, VP and CISO, was nominated and selected to attend the Technical Executive Forum on October 20. The Tech Exec Forum is a key program that connects and empowers executive-level technical leaders committed to diversifying their workplace to better leverage diversity for innovation. Not only was Lucas able to expand his network with other leaders during this event, but also his team was able to identify a top candidate for one of his university graduate roles during the conference and make an offer on the spot. This is just one example of our leaders supporting our efforts to increase hiring women in tech. One of the most meaningful experiences of this conference is the opportunity for our Palo Alto Networks team to connect and engage with each other. It was so wonderful to see new friendships and new connections forming – that will continue long after the conference ends. It’s one of our imperatives at Palo Alto Networks to focus on diversifying our talent. With the shortage of talent in security, we need to encourage more students and technologist early in their careers to choose a career in security and join us in our mission to prevent successful cyberattacks. We are eager to get back to Grace Hopper in 2017! 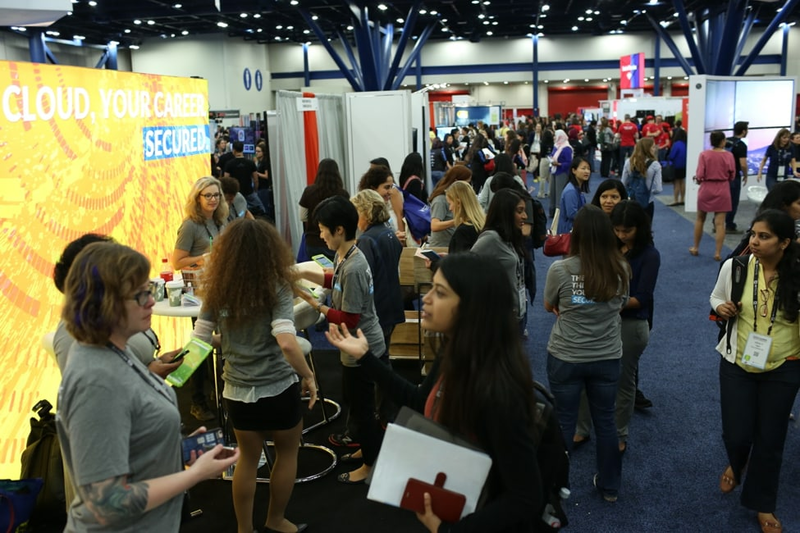 Delighted to see Palo Alto Networks participating in an industry-leading conference like Grace Hopper, for its long-standing track record in reaching out to women in computing and helping foster successful careers.